Today I came to do a great review, is the Finest World Coffee! 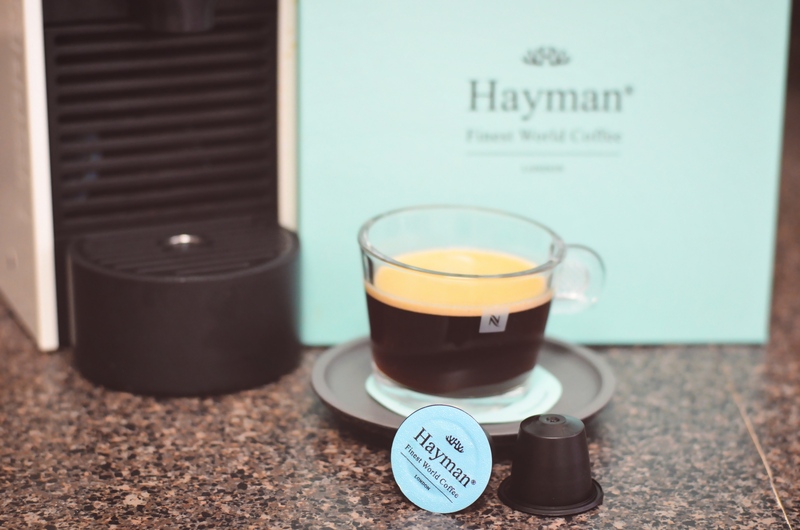 The brand is Hayman Coffee. Of course coffee is always good, so nothing better than drink a coffee while I do this review, right? So let’s jump in! 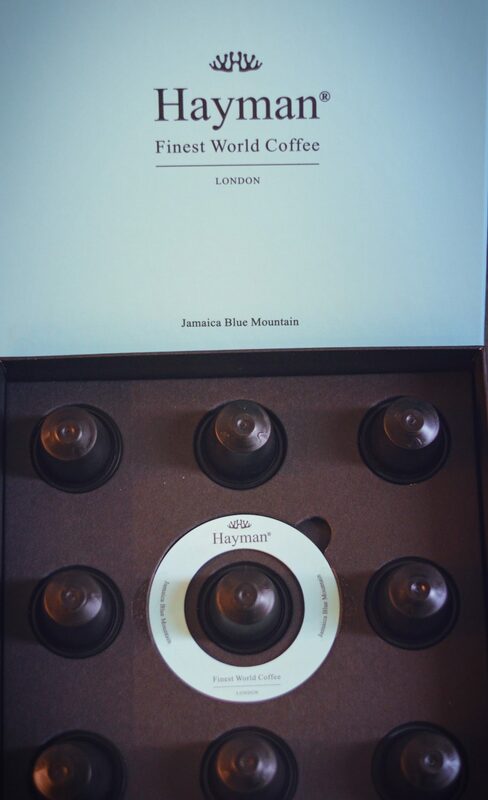 “We were born in London, UK, in 2014 with the single goal of offering the finest world coffee, such as the Jamaica Blue Mountain coffee, to connoisseurs who refuse to compromise on their quest for perfection. 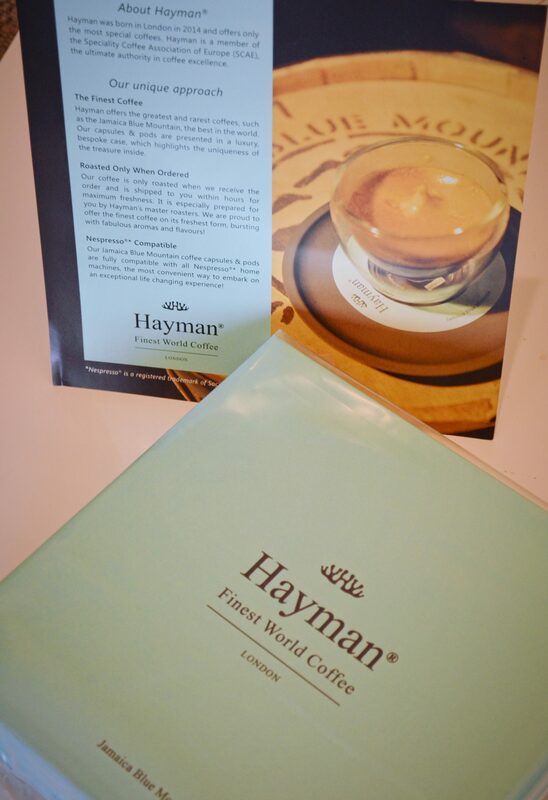 Hayman’s founders decided to bring together their strong experience in the luxury and consumer goods industries, and mix it with their joint passion for rare and exotic coffee, in order to develop a new and unique product – the best coffee in the world in capsule & pod form. 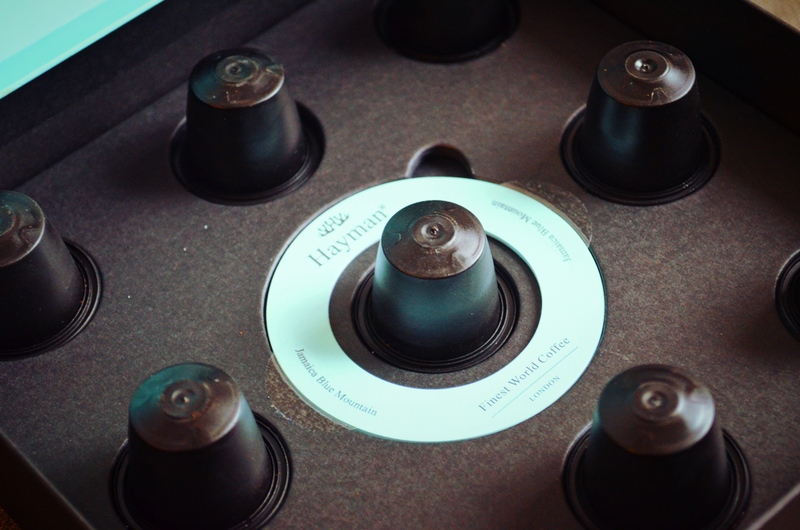 We are the first to offer only the most exclusive coffees in Nespresso ®* compatible pods & capsules. The color is dark caramel with a creamy foam. The good part of their coffee is that they just roast and ground the coffee bean in the time that you place your order, making the coffee be fresh when arrive at your home. And I can confirm this. The box come in a really good pack. 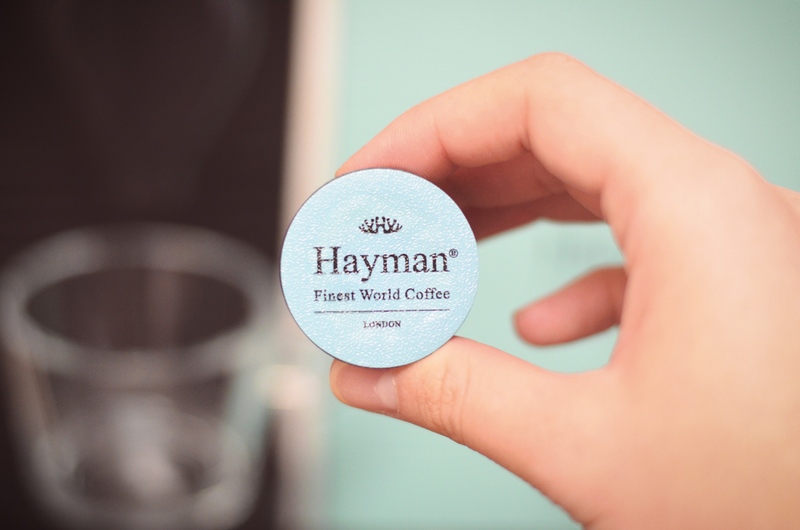 The coffee capsule come in a bag, making the coffee be fresh and maintain the flavor and aroma. Also, the aqua box is so beautiful, inside have a place for each capsule, in total 9 of them. 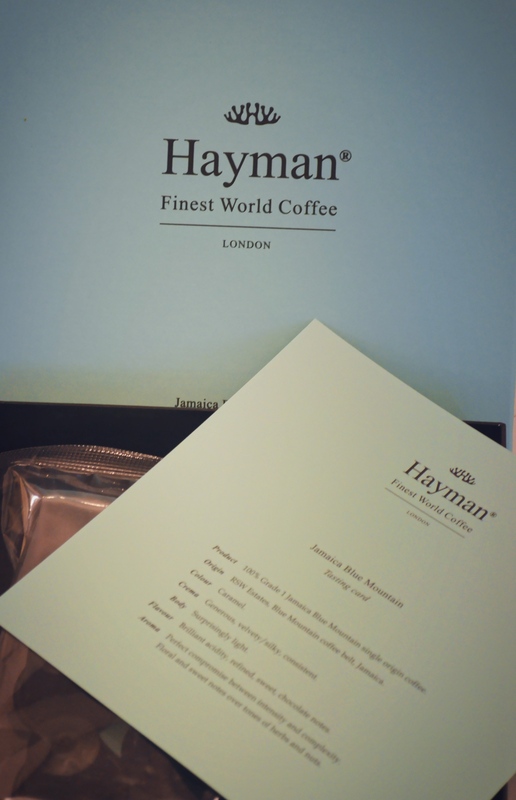 The price of this luxury coffee is €59.00. You can check the pictures below to see how is the box and how they come. Now, after all this information about Coffee, go ahead and get your own cup of coffee and go enjoy the moment.